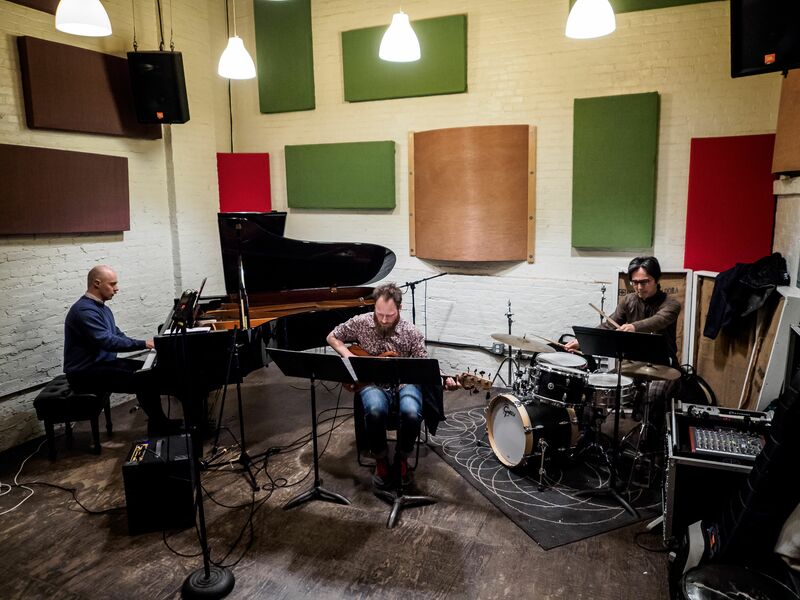 Nov. 11: Marc Hannaford Trio + Satoshi Takeishi’s Triptych – Sound It Out! For the first half of this double-bill, Australian pianist-composer Marc Hannaford makes his Sound It Out debut leading his trio with Simon Jermyn (electric bass) and Satoshi Takeishi (drums). Australia’s Herald Sun marveled over Hannaford’s music-making, describing it as “complex, simple, aggressive, delicate, triumphal, dazzling, acerbic and engaging.” For the second half of the evening, Satoshi – a longtime Sound It Out favorite as a drummer in multiple bands – will take on the role of leader with his trio Triptych, featuring Erik Friedlander (cello) and Curtis Hasselbring (trombone and guitar), plus guest Shoko Nagai (accordion/piano).